Please visit hotel online reservations for best rates. Minimum age for staying at Archipelago Hostel is 21 years. √ Check-in starts from 13.00 (1 pm). least 72 hours prior to booked date of arrival. √ Luggage may not be stored prior to checking in or after checking out. the right not to permit entry for the guest, may it be for security reason or any other reason. Bedding is required for all guests and must be displayed upon arrival. A complete set of bed sheet, duvet cover, pillow case and towel will be provided for guests not beeing able to present their own. The charge is SEK 65. No sleeping bags are allowed! There will be a penalty of SEK 1000 if bedding was not used. 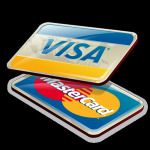 Payment is to be settled by creditcard or cash upon arrival at Archipelago Hostel. Charges will apply for any late cancellation within 72 hours prior to booked arrival equivalent to the total amount of the reservation. Late arrivals will be charged for the stay and for mandatory bedding to the creditcard given at the time of reservation. If payment could not be processed at least 72 hours prior to booked date of arrival, reservation will be cancelled and no room/bed will be supplied!